CPL Caribbean Premier League 2018 Predictions and Betting tips : The Caribbean Premier League T20 is an initiative by West Indies cricket board and one of the most successful. 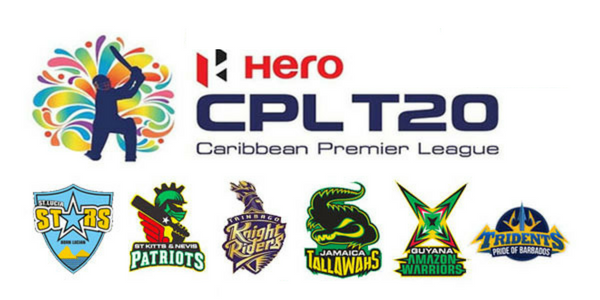 As well as Caribbean premier league is valued as one of the hottest cricket assets. This time in CPL 2018, the game will be played in 6 different venues and playing in each team’s home ground in round robin format. CPL 2018 Teams: Trinbago Knight Riders, St Lucia Stars, Guyana Amazon Warriors, St Kitts & Nevis Patriots, Jamaica Tallawahs, and Barbados Tridents. Hope you will like our Caribbean Premier League 2018 Who Will Win Today Match Prediction report which is given by our cricket prediction experts. Share your thoughts about this Caribbean Premier League 2018 Predictions and Betting tips by EXPERTFREETIPS.